If you haven’t guessed it already, I gravitate to and prefer a good red wine such as this Rutherford Hill Merlot. That doesn’t mean I don’t appreciate a good white wine; I do. It just seems that my palate is more attuned to red wine. It was just the right wine for a casual evening with friends. Rutherford Hill Winery is located in the charming village of Rutherford, CA. in the Napa Valley wine region. The winery was founded in 1972 and is credited with pioneering the development of the California Merlot varietal. They Rutherford Hill grape growers carefully studied the geography of the region, capitalizing on the climate and soil conditions that mimicked the Merlot-growing region of Bordeaux. The Terlato Wine Group bought Rutherford Hill Winery in 1996, which resulted in significant enhancements to Rutherford Hill Winery. Today, Merlot remains Rutherford Hill’s flagship wine representing roughly 75 percent of Rutherford Hill’s wine production. They are currently the leading Merlot wine producer in Napa Valley. 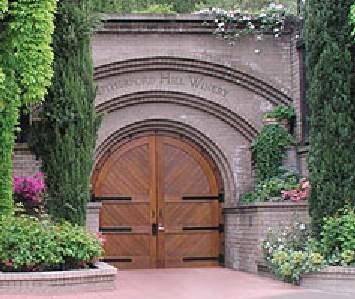 Rutherford Hill was one of the foremost innovators in Napa Valley in building caves which also included the use of a pallet stacking system within those caves. Their cave now houses roughly 8,000 wine-filled oak barrels to allow for proper aging in an ideal wine storage environment of 59° F and 90 % humidity. I hear it’s a fun tour to see their caves and to taste their delightful wines. “Rutherford Hill’s Merlot is an elegant, refined blend of classic Bordeaux varietals that create its rich aroma and flavor. The winery is perched high atop a hill overlooking Napa Valley, where the grapes are nurtured by deep volcanic soil and longer afternoon sun. An abundance of cherry fruit flavors are backed by a rich, balanced structure for an intensely complex Merlot. Silky, full-flavored, firm, and built for today’s enjoyment with smooth tannins and lush layers of flavor. You can find this absolute delight of a Rutherford Hill Merlot at; wine.com, totalwines.com, amazon.com, Costco, BevMo.com, CostPlus/World market, and many grocery stores or wine markets. 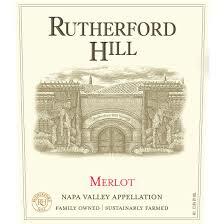 You could taste the Cherry fruit in this Rutherford Hill Merlot. It went especially good with our cow’s mild cheese tray. This wine added a great deal to a fun evening with friends on a warm summer evening on our patio. Does it get any better than that? What are some of your favorite wines? 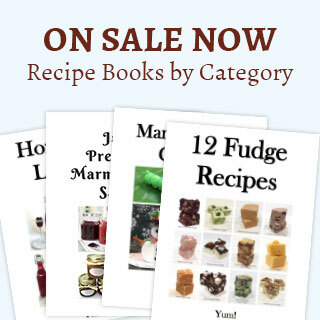 I would love to hear and showcase your suggestions. If you enjoyed about “Rutherford Hill Merlot,” check out Delicato Merlot, Reserve De L’Aube Syrah-Merlot, and Alexander Valley Vineyards Cabernet Sauvignon.